As a population-based intelligence algorithm, fireworks algorithm simulates the firework’s explosion process to solve optimization problem. A comprehensive study on Gaussian spark operator in enhanced fireworks algorithm (EFWA) reveals that the search trajectory is limited by the difference vector and the diversity of swarm is not effectively increased by new sparks adding. An improved version of EFWA (IEFWA) is proposed to overcome these limitations. 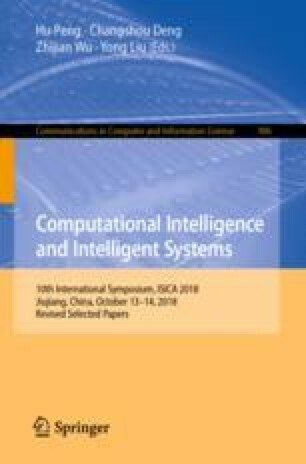 In IEFWA, a new Gaussian spark operator utilizes the location information of the best firework and randomly selected firework to calculate the center position and explosion amplitude, which enhance the search for potential region. Experiments on 20 well-known benchmark functions are conducted to illustrate the performance of IEFWA. The results turn out IEFWA outperforms EFWA and dynFWA on most testing functions. This work is supported by the self-determined research funds of CCNU from the colleges basic research and operation of MOE (No. CCNU18QN018).